Disclaimer: this article is written with lowsec and small gang combat in mind, but many of the concepts are universal. You may think that fleet conflicts are won by the ships involved. The inexperienced may also assume that the outcome largely determined by the skill of the individual pilots present. While both are true to an extent, they are dependant on a third factor. Without it, they border on useless. In fleet PvP maintaining solid combat voice correspondence is one of the most valuable skills to possess. Those that would not learn it pay for their ignorance often and at great cost. Communication is the difference between a group of individuals and a unit. The composition of a successful fleet can be compared to a cast-iron cannon; the ships on field are the cannonballs, the skill of the individual pilots the gunpowder and communications the cannon itself. The use for the individual components is quite limited, but put them together, and you have a weapon that has changed the course of history. When it comes to fleets of any size, voice communication is the only medium fast enough to be of any viable use. Thus it is almost always considered mandatory in PvP fleets. Typing and reading chat while fighting simply doesn’t cut it. One needs look no further than the most active areas of lowsec to see these principles at work on a daily basis. Superior enemies in both number and hardware are brought low by forces that are well drilled in combat communication and able to take in formation and execute orders as one. 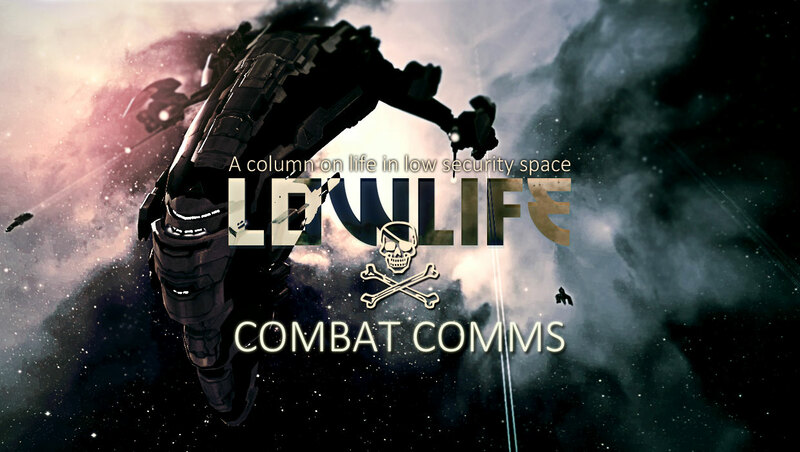 For the purpose of this article we will divide good combat comms doctrine into three separate parts; scout, fleet and fleet commander. The scout is the eyes of the fleet. As such it is absolutely crucial that they communicate clearly, accurately and are able to discern what is of value to report. Generally the ‘scout’ is any member of the fleet with first intelligence on possible targets or threats. In a small roaming fleet they are also often the first to engage the enemy. Having discovered something worthy to report, a scout will firstly need to acquire the attention of the fleet. This is generally done by saying ‘check’ on voice comms. A skilled fleet will immediately clear comms, virtually no matter what is going on, and give the scout opportunity to transmit their information. The first, most important information to report, is location. This cannot be stressed enough, so let me reiterate; the most important thing is location. Not reporting the location of an enemy or event is a common mistake. Especially if the scout is on field with the object of his report. Even some relatively experienced PvP-ers make it, not seldom to their deaths. Pilots, especially green ones, occasionally get a bad case of the infamous EVE ‘shakes’ when they are the first to engage. As adrenaline rushes to their brain and they enter fight-or-flight mode, only the most drilled routines will remain intact. Often they will lose their sense of location and/or forget to report where they are – simply repeating that they are engaged and taking damage, over and over again. The second key piece of information is, naturally, the enemy ships. Their types, behaviour and flagging. A neutral fleet of six Merlins warping away from a complex is a very different thing from say, a war target fleet of six Stabber Fleet Issues landing on a gate. When larger fleets are involved the experienced scout will also often provide what’s commonly known as a ‘Raynor’ in fleet chat. This is in reference to a well known, web-based tool, that allows the user to create an instant report of the enemy fleet composition using data gathered from the directional scanner. The report can then be shared with the fleet. Although the Raynor tool is, at the time of this writing, out of commision, there are alternatives such as the Directional Scan Analyzer that can be found here. When the order comes of ‘combat comms’ or ‘clear comms’ it means several things. Most crucially it means that only the only verbal communication permitted must be related to the combat situation at hand or strategically relevant to the fleet. Relevant to the fleet, not the individual. Everything else in considered ‘chatter’. Chatter is a dangerous thing because it can easily drown out important tactical information and hamper a fleet’s performance drastically. It might seem an obvious thing. However, I have personally seen fleets massacred because some absent-minded members insisted on cluttering up comms. Often it is information relevant to them, but with little or no value to the fleet or to the task at hand. In the end becoming information that directly damages the fleet’s ability to perform. Examples of information relevant to the fleet include things like; tackle on valuable targets, key ships that have gone down or enemy reinforcements picked up on scan. Reporting things of this nature should be done as clearly and simply as possible. 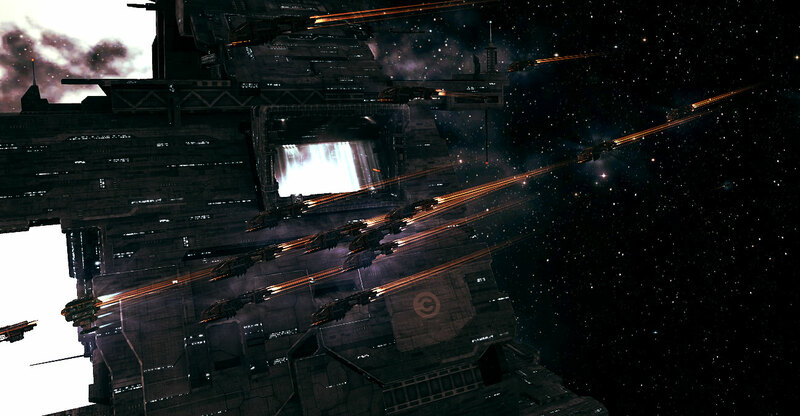 ‘Scram Stabber Fleet Issue’, ‘Logi down’ or ‘incoming hostiles, four Vexors, one Caracal’ will suffice. Overly verbose reporting eats important communications real-estate and renders the fleet slower to react. An important part of fleet comms is simply listening. Taking in the information that is reported so as to avoid reporting intel already known by the FC. Or even worse, not paying attention to orders – forcing the FC to repeat themselves. A good FC will command absolute control of voice comms. He or she is the cannoneer, choosing when to light the fuse and where to aim the weapon. Encouraging and even enforcing good communications practise provides an alert and responsive fleet, able to undertake the most amazing feats. How the FC communicates with the fleet in return is singularly the most important aspect of combat communications. The orders delivered must be clear, simple and often repeated – ensuring that every last member of the fleet has understood what is expected of them. Apart from orders to move, target calling is one of the main functions of the fleet commander. Clearly stating the primary target and making certain the fleet always has one is the hallmark of a good FC. To ensure that no time is wasted, the FC should also call out a secondary and even tertiary target. When one goes down the fleet is immediately able to switch fire to the next in line. To make sure that the primary target is understood, it is good practise to give the fleet as many ways to quickly identify it as possible. Calling out the ship type and the name of the pilot (or, in the case of long names, the first three letters of the name) repeatedly, accompanied with a broadcast of the target is the best way to get as many fleet members as possible applying damage to that target. Because it is quite possible that the FC can be eliminated during an engagement, it is good practise to select a secondary and tertiary target caller beforehand. Talking about good combat comms practises is a bit like talking about the Matrix – you cannot be told why it is so important, you have to see it for yourself. I have been in many a fleet that has been able to utterly dismantle foes with more numbers and better ships, and it has nigh on always been thanks to superior communications skill.